Microsoft just announced that all apps in the Windows 8 app store will be free to download during the Windows 8 Consumer Preview. Speaking at the launch event, Antoine Leblond, corporate VP of Windows web services, made the revelation while demonstrating the app store on screen. "A number of essential apps will ship with the Consumer Preview but they're all subject to change," he added. "And we're adding apps all the time, so you'll want to keep checking back into the store." "Apps bring the OS to life - it's alive at a glance. We wanted to scale these apps across many dimensions, screen sizes, usage scenarios etc," added Steven Sinofsky, Microsoft's president of the Windows division. "We want apps in that environment to work together. Currently you get a lot of islands of apps, and that's not the right way. "So in Windows 8 you have control over apps. Apps work together and everything is cloud connected, which is a very important part of how we thought about Windows 8 from the beginning." 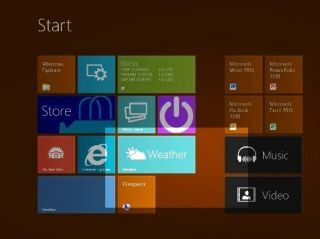 Microsoft launched the Windows 8 Consumer Preview (which is a posh way of saying public beta) at MWC 2012 in Barcelona - and we've only gone and done a hands on Windows 8 review for you as well.